Besides the new trends seen on the catwalks, some trends are reminiscent of last fall’s season showing us that “they are here to stay". Burgundy was one of the main colours from last f/w season. From expensive brands to high street shops, the racks were filled with burgundy trousers, blazers, coats, knits etc. This season this trend continues by designers like Peter Som and Jason Wu. 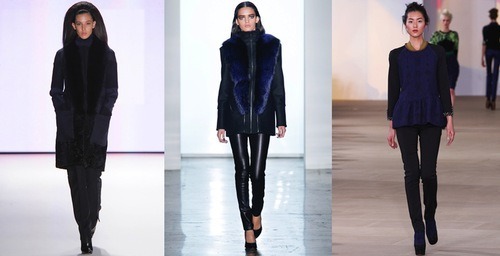 Seen at: Jason Wu, Peter Som, Rag & Bone, Chirstian Siriano, Tibi. 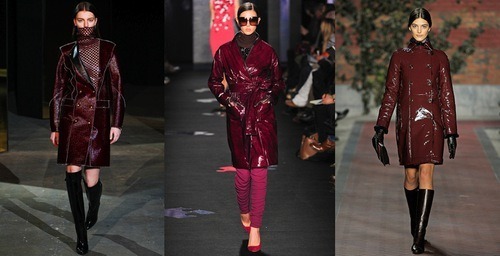 Other designers took this trend to the next level by showcasing burgundy PVC raincoats. 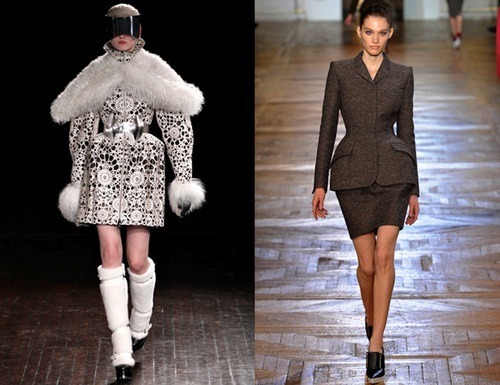 The peplum obsession persists, with designers continuing to add volume to the waist. Seen at: Bottega Veneta, Lanvin, Hakaan, Peter Pilotto, Kenzo, Haider Ackermann. Other designers opted for more structured designs around the waist. Seen at: Alexander McQueen, Stella McCartney. We’ve all loved the metallics’ trend last winter and you should be glad to know that this trend will still be seen in the months to come. This season however, the main focus goes back to the basics -gold-. Seen at: Prabal Gurung, Elie Saab, Michael Kors, Giambattista Valli, Paco Rabanne. Just like every fall season black could not be left out. 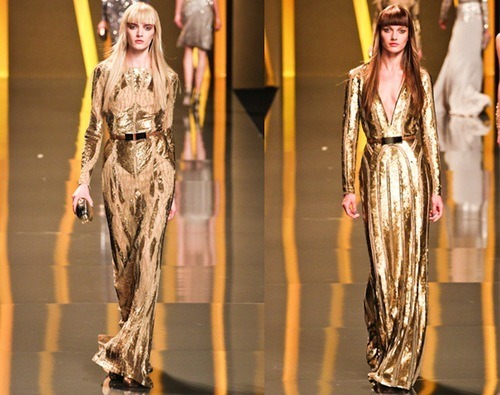 This year however, several designers amped up the volume by toughening up their looks. 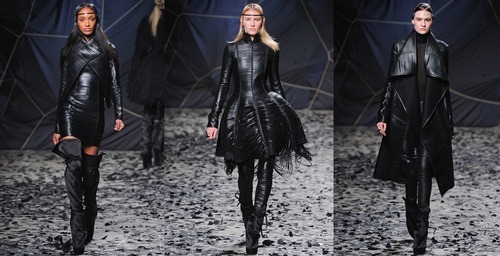 Seen at: Gareth Pugh, Mugler, Alexander Wang, Proenza Schouler, Givenchy, Versace, Yves Saint Laurent, Ann Demeulemeester. Others kept it simple and chic. Seen at: Michael kors, Alberta Ferretti, Jean Paul Gaultier, Calvin Klein. Whereas others added a tinge of blue colour to their looks while keeping them subtle. Seen at: Carolina Herrera, Cushnie et Ochs, Preen. So what do you say? 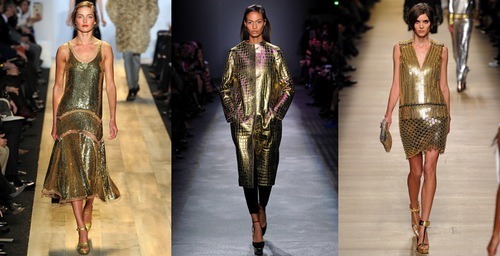 Will you embrace the new trends or hold on to last fall’s ones?